The blue arrow above shows where I found access to the power supply and shutter connections. 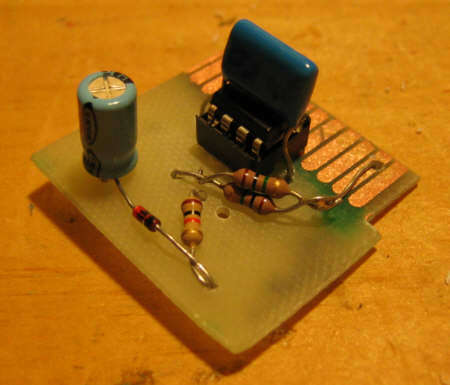 The high value resistor was 147K ohms in the original circuit giving a timer interval of about 5 seconds. 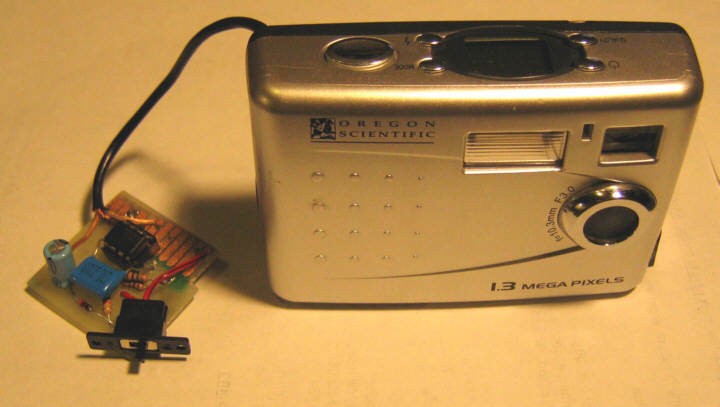 Since the Oregon Scientific takes over 10 seconds to store a full size image (! ), I changed R1 to 500K ohms which increased the interval to about 13 seconds. I didn't have a 500K resistor, so I used two 1 meg ohm resistors in parallel. I finished it by adding an on/off switch for the timer. One last modification, not shown. I made a small wood insert with a strip of copper to put in the battery compartment. This lets me use lighter AAA batteries instead of AA's which are almost twice as heavy as AAA's. See Plane Aerial Photography Archive for additional modifications. 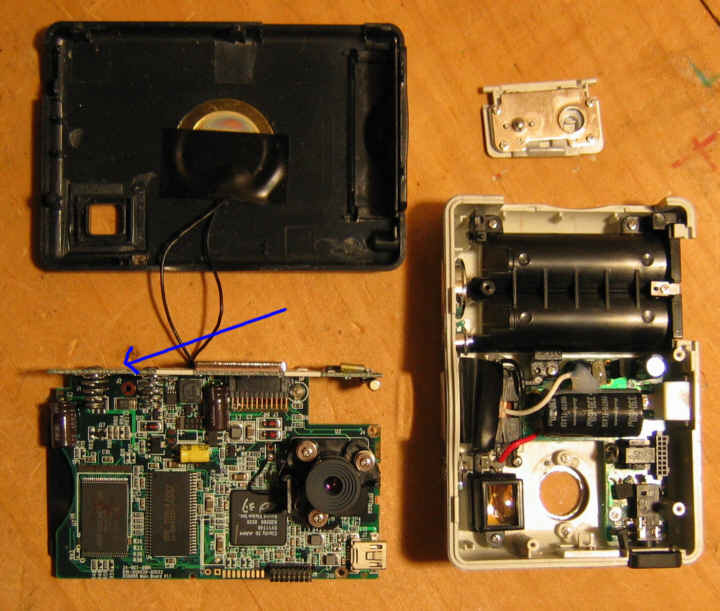 I tapped the plane battery pack to run the camera and I removed the case and some internal parts to lighten the camera.